Do you know why it is ideal to eat at least one apple a day? Discover its benefits, properties, and information on the nutritional content that gives us this delicious and nutritious fruit. Apples are undoubtedly one of the most outstanding fruits, not only because of their important benefits and properties but also because of the nutritional value they possess. And precisely because it consists of both a very healthy fruit and a good natural remedy, it confirms the old saying “every day, an apple is a healthy thing”. Not surprisingly, there are many benefits and properties of apples, since, in addition to stimulating both the liver and the kidneys, they are able to cleanse the body of toxins (which in turn serves as a purification itself). They are rich in pectin, a mixture of acid and neutral branched polymers that help eliminate precisely those toxins cited and reduce cholesterol. They also have malic acid, which is able to neutralize acid derivatives, and given their richness in fiber, they are a very good natural remedy to combat constipation and diarrhea, improving intestinal transit and helping with digestion. They also reduce the risk of cardiovascular disease thanks to its quercetin content, and are even ideal for diabetics, since they help control diabetes by reducing blood sugar levels. They contain pectin, malic acid, flavonoids, and quercetin, among other important components. Apples help reduce high cholesterol, blood sugar levels and the risk of cardiovascular disease. They are good for combating constipation and diarrhea. Eliminate toxins, being good stimulants of the kidneys and liver. As regards the nutritive or nutritional value of the apples themselves, 85% of their composition is water, and most of their sugars are derived from fructose, although in a lesser amount they have glucose and sucrose. It provides a low amount of vitamin C, although it also provides vitamin E (as we know, a great antioxidant). Regarding minerals, its potassium content stands out. Its caloric content is low, given that 100 grams of apple contribute only about 50 calories. But let’s go in parts. Then, why should we eat at least one apple a day? It is a fruit very rich in antioxidants. It contains vitamins of group B and C.
Rich in minerals such as phosphorus, potassium or calcium. Presence of malic acid and tartaric acid. It facilitates the digestion of foods rich in fats. It helps to take care of teeth and gums. An important regulatory action of the intestine. It helps to avoid constipation. 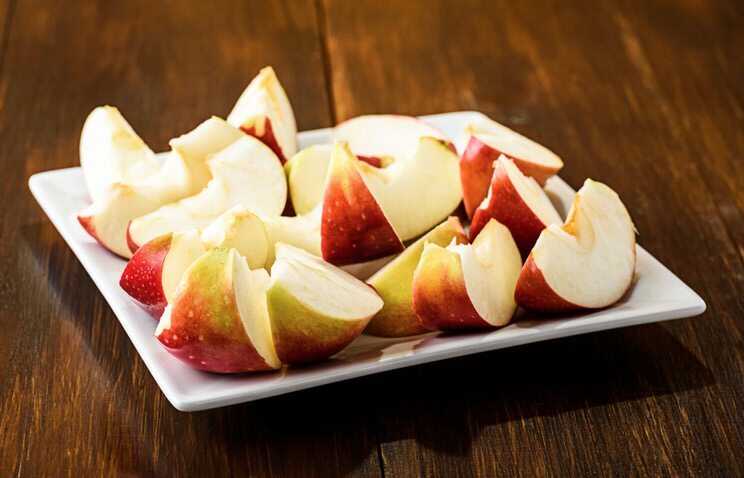 For its different benefits and properties, and its low caloric content (barely 80 calories per 150 grams), the apple becomes one of the main options to be able to take it at midmorning, when we are between breakfast and lunch. With regard to its nutritional profile, one of its main virtues is its regulatory action on the intestine, something that is possible thanks to its richness in soluble and insoluble fiber. 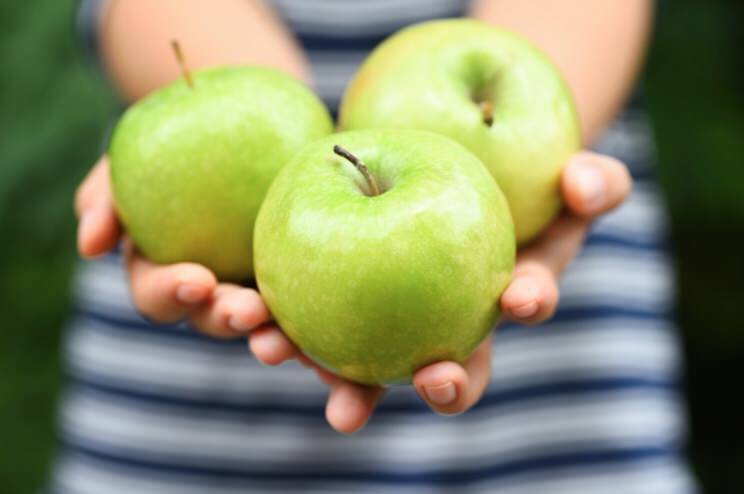 For example, an apple or 150 grams provides about 5 grams of fiber, something that joins its 16 grams of sugars (fructose, sucrose, and glucose), and 22 grams of carbohydrates. It contains flavonoids and polyphenols so it is rich in antioxidants, in vitamins of group B (B1, B2, and B6), vitamin C, phosphorus, potassium, and calcium. In addition, thanks to the presence of malic and tartaric acid facilitate the digestion of those foods that have a high-fat content. March 7, 2018 Michelle Comments Off on Pearls and capsules of omega 3 fish oil, when to take them?